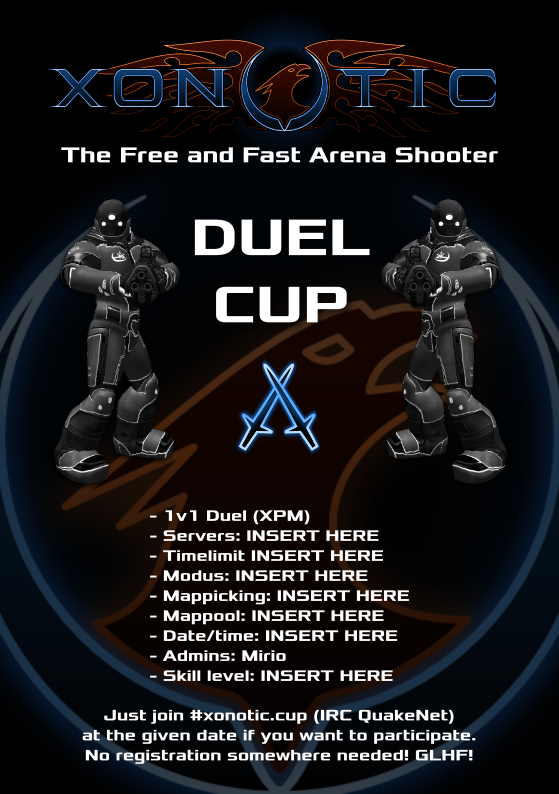 I made this A5 leaflet template in Inkscape as a promo duel (or any other tourney) flyer. Use it as you want if you find it useful, i attached SVG file. Off course it can be scaled to a poster size or whatever you need. Beware if you plan to edit this file in Adobe Illustrator because it converts the logo to look like crap. If that happens please attach a photo here, i would like to see that. EDIT: the attachment is now ATTACHED. Haven't realized i can't attach an SVG file so i zipped it.